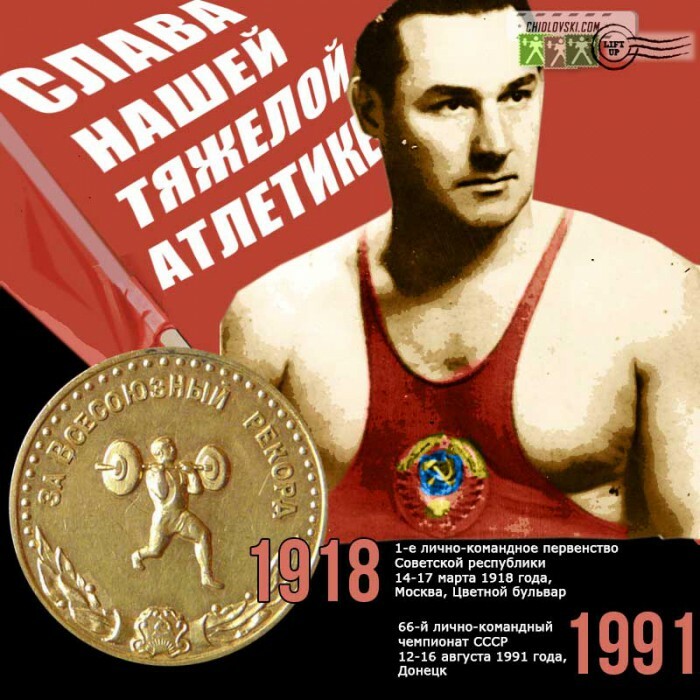 October 15, 1950, Paris, France – 35-year old heavyweight of Team CCCP Weightlifting, Yakov Kutsenko has been called to the competition platform for his next lift at the 1950 World Championships in Paris. Other Soviet weightlifters, Yevgeny Lopatin and Gennady Balashov are seen in the background. The tournament in 1950 was the last one for Yakov Kutsenko. He won a silver medal at the 1950 World Championships (behind John Davis) and a gold medal at the 1950 European Championships.